It is extremely important to find the right emergency dentist while you are visiting the lovely seaport city of Bridgeport, CT should you have an emergency dental situation. We at Emergency Dentists USA have made that job much easier for you. We have done the research and found the best emergency dentists to serve you no matter when your emergency strikes. 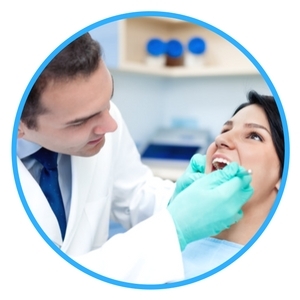 We offer a large selection of dental clinics that offer appointments on the day you have the emergency. There are after hour clinics that can help you later in the day than the standard dental hours. A quick phone call to the Emergency Dentists USA hotline connects you to an operator who is there to help you make the right decision when it comes to an emergency dentist. They’ll help you find the dental service to fix that knocked out tooth, broken brace, or even a horrible abscess without you having to search all over. There are many options in emergency dental care when you are visiting Bridgeport, Connecticut. The city offers access to many quality after hour dental clinics. This helps you to get the care that you need when you need it and then get back to enjoying your stay in this beautiful city. Do not put off visiting the dentist because you are unfamiliar with the dentists, we have you covered with the best of the best. After hour dentists are regular dentists that offer extended hours to meet your needs later in the day. Curtis Family Dentistry is open Monday through Friday with late hours until 7pm on Thursday. Dr. Dental is a friendly emergency dentist that offers late hours Monday through Friday until 7:30 pm. They are also available to serve you Saturday until 3 pm. Connecticut Dental Group have appointments that can be scheduled Monday through Saturday, with Wednesday and Saturday hours available upon request. Their after hours are available Monday, Tuesday, and Thursday until 6 pm. Hawley Lane Dental is a quality emergency dentist that has office hours Monday through Saturday. They are open late on Monday and Tuesday until 6 pm and Saturday until 1 pm. Emergency Dentists USA has created a comprehensive listing of quality after hour dental clinics in the Bridgeport, Connecticut area. There are many family-friendly dental offices to choose from when you are selecting just the right emergency dentist in Bridgeport, Connecticut. You can make an appointment easily with just a quick phone call to our hotline that connects you to a friendly operator who is waiting to help you deal with your dental emergency. Do not put off a visit while you are in the city, get the care you need and get on with your visit. Description When traveling through the Bridgeport, there are many ways in which a dental emergency could quickly present itself. If you’re having a dental emergency it’s important to get help fast. Call our hotline and we’ll help you find a dentist near you fast! They take in patients that call on the same day if there is an emergency. They understand the need of immediate attention in case of emergencies, as dental issues could become embarrassing. They also accept insurances, making the treatment more affordable. Dr. Dental has a family-friendly office that is ready to help you with all your emergency dental needs. They accept almost all types of insurance and have flexible financing available. Their office hours make it easy for you to get the help you need when you need it for less than you’d expect to pay. Connecticut Dental Group INC. offers emergency dental care that you can count on. They treat their patients like family and provide comprehensive dental care. They do everything they can to treat dental emergencies promptly and work to minimize discomfort. Hawley Lane Dental makes it their mission to make your visit to their office as hassle-free as possible. Their office has all the modern technology and equipment available to make your visit as comfortable as possible. They work to make sure your insurance is handled correctly and in a timely manner. A visit to your Bridgeport, CT emergency dentist is similar to visiting your regular dentist and you can expect the same great care as they offer all the same services though usually with extended hours. When you arrive for your visit, be sure to have all of your paperwork ready. Have available any dental records and x-rays that you can. Arriving at least 15 minutes early to your appointment gives you time to fill out any required paperwork you might have. This time also provides you the opportunity to ask any questions you might have. When you are scheduling your appointment, talk with office staff on when payment forms are accepted to be certain you have available what you need. Find out if the dentist is in network and be certain that they accept your insurance when you schedule your appointment as this can save you time and money. If you have any allergies, let the dentist know what they are so that there is no medication issues. Please let the dentist know if you have any dental anxiety or fear before you arrive to your appointment. If they know there are steps they can take to help ease your anxiety and make you more comfortable. The city of Bridgeport is the largest city in the state of Connecticut and is located at the mouth of the Pequonnock River on Long Island Sound. It has the great nickname “The Park City” due to its many fine parks located throughout. This lovely seaport city offers a wealth of attractions from majestic shoreline parks, national musical acts and performances, museums, and much more. It has over 1,300 acres of public land designated for parks and has 13 officially delineated neighborhoods across 16 square miles of land. The state of Connecticut ranks 12th best in healthcare according to U.S. News. The state of Connecticut is one of the original 13 colonies and it played a huge role in the development of the United States. The state ranks number One in both Adult Dental Visits and Child Dental Visits according to U.S. News and ranks number four overall in Health Care access. They have many wonderful hospitals available should you require care for a dental emergency while you are visiting and not be able to see the dentist as quickly as possible. Should you have an emergency dental need while in Bridgeport, CT you have available to you Bridgeport Hospital. This hospital is supported around the clock by physicians that can quickly assess your emergency and handle it in a timely manner. The hospital is a regional Trauma Center and is part of Southern Connecticut’s only state-designated regional center for emergency preparedness and disaster response. An emergency room physician is able to help you with your dental emergency by providing medication that you need to help you get through until you get an appointment with your Bridgeport emergency dentist. They can also treat any other injury that might be present that needs to be treated. Emergency Dentists USA has removed the hassle of finding an emergency dentist should you be struck with terrible toothache or other dental issue during your stay. With so many 24-hour dental emergencies that can strike, making your life miserable during your stay in Bridgeport, Connecticut, it is important to know who to call. Emergency Dentists USA’s website has created a list of quality emergency dentists that can help you handle your dental emergency without the stress of searching everywhere to find the right dentist to treat that toothache, broken tooth, or abscess. The Emergency Dentists USA hotline quickly connects you to just the right Bridgeport emergency dentist who can set you up with an appointment to treat your dental emergency as quickly as possible and get you back out on the road. Do not wait to get treated and suffer with the pain. A toothache can quickly bring all of your fun to a grinding painful halt. The pain can make it so you can’t think of anything other than finding relief. First, rinse your mouth with warm water and then use dental floss to remove any food that might be lodged between your teeth. Apply a cold compress to the outside of your mouth to relieve swelling and help with pain. Do not apply aspirin or other pain relievers to the gum as this can burn your gum tissue. Contact your Bridgeport emergency dentist immediately. 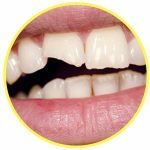 Chipping or breaking a tooth is a traumatic experience and can be a painful to boot. Try to save any pieces of the tooth that you can, rinsing them to remove any debris. Rinse your mouth with warm water to remove any tooth fragments. Should there be any bleeding, apply a piece of gauze to that area until the bleeding stops. This usually takes about 10 minutes. A cold compress applied to the outside of your mouth can help relieve some of the pain and bring down swelling. Contact your emergency Bridgeport dentist as soon as possible to be treated. A knocked out tooth must be treated with as much speed as possible. Quickly pick up the tooth, holding it by the crown. Rinse the tooth in warm water if it is dirty, but do not scrub it. Carefully try to place the tooth back in place, being certain that it is turned in the right direction. Do not force it into the socket. Should you not be able to replace the tooth, put it in a container of milk or water with a bit of salt. Call your Bridgeport emergency dentist as a tooth returned to socket within the hour has the best chance of being saved. An object caught between your teeth can be extremely irritating to you and to your gum. Try to remove the object using a piece of dental floss. Be very careful to not push the object further into the gum. Do not use a sharp object to try to pry out the object as this can scratch your tooth surface or cut your gums. If you can not remove the object, call your emergency dentist to set an appointment. An emergency tooth extraction is a trying experience that sometimes can not be avoided. An abscess, extreme decay, or an unsavable broken tooth can result in a tooth needing to be removed. If this is the case, you will first be examined and x-rayed. If the tooth needs to be extracted, the dentist will utilize a local anesthetic to numb the area. The anesthetics alleviate pain and all you will feel is some pressure while the tooth is being removed. 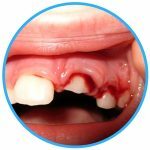 Once the tooth is removed a piece of gauze is placed over the extraction site to aid in forming a blood clot. For the first 24 hours do not use a straw, smoke, use alcohol, or engage in extreme activity. After that, you can resume your normal routine, especially with brushing and flossing your teeth at least once a day to aid in healing. Should you have any heaving bleeding, extreme pain, or continued swelling after the second day, call your Bridgeport emergency dentist right away. Take any medication as directed. 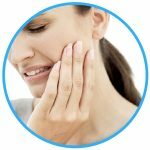 Your Bridgeport emergency dentist is there to help you with any painful dental emergency that you should have. They can best treat your mouth and teeth should you have a toothache, lost filling, knocked out tooth, or abscess. They are trained in treating all dental emergencies and are your best option. That being said, should your dental emergency be caused by an auto accident, sports injury, or trauma of any sort that could have caused damage to more than just that area, you should seek treatment at the nearest emergency room. They are equipped to treat concussions, broken bones and any other damage you might have sustained. While they can not treat teeth, they can be certain you are otherwise safe. They are also available should you not be able to seek treatment immediately with your emergency dentist. They will refer you after treatment to your local Bridgeport emergency dentist for further treatment. The wire on my braces broke, should I cut it the rest of the way off? Should the wire on your braces break, you should not cut it the rest of the way off. You can resituate it using the eraser end of pencil so that it doesn’t irritate. Plaque is a hardened layer over the tooth surface that is formed by bacteria. It is bad as it can cause cavities and gum disease. Both electric and manual toothbrushes are effective in cleaning the teeth when used properly. Brush for a minimum of two minutes. Bad breath can be caused by a variety of things from the food you eat, medications you take, or even poor oral care. Brush and floss your teeth as instructed and talk with your dentist if the problem continues. Even if it has been years since your last visit to the dentist, call and make the appointment. Let them know it has been a while and feel comfortable knowing they will help you from there. All of the great parks in “The Park City” gives you plenty to do while you are visiting the lovely seaport city of Bridgeport, Connecticut. It is a beautiful city full of interesting things to see and do. The dentists are friendly and work to make your dental care a good experience should you have a dental emergency while you are enjoying your stay. Curtis Family Dentistry is available Monday through Friday with late hours until 7pm on Thursday. Dr. Dental is a family friendly emergency dentist that has late hours Monday through Friday until 7:30 pm. They are also available to help you on Saturdays until 3 pm. Connecticut Dental Group has appointments available that can be scheduled Monday through Saturday, with Wednesday and Saturday hours available upon request. Their after hours are available Monday, Tuesday, and Thursday until 6 pm. Hawley Lane Dental is a quality emergency dentist that has available office hours Monday through Saturday. They are open late on Monday and Tuesday until 6 pm and Saturday until 1 pm. Emergency Dentists USA has a large listing of available dentists to help you should you have a dental emergency. If you are unable to reach a dentist call 911 or go to the nearest emergency room. Should your dental emergency come from an accident or trauma, the Bridgeport Hospital is there to support you. They have a 24-hour emergency care that is able to deal with your dental emergency should you not be able to get into the emergency dentist as quickly as you need to. They can provide you with the necessary medication to make you comfortable until your appointment. When you choose a Bridgeport emergency dentist, it is important to verify the dentist’s credentials with local state and city dental associations. The American Dental Association has a website where you find listings of all the dentists and their credentials. 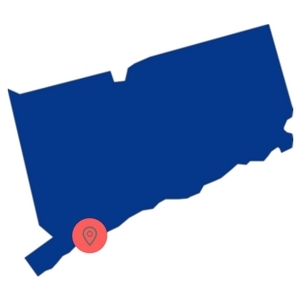 You can also find information about Connecticut dentists and their credentials on the Connecticut State Dental Association website. The Emergency Dentists USA portal is a website that is designed for informational purposes only. This website should never be used to replace the actual advice of a medical professional. If a patient is having an emergency and cannot reach a dentist, it is important to call 911 or proceed directly to the nearest hospital emergency room to ensure prompt treatment and safety.